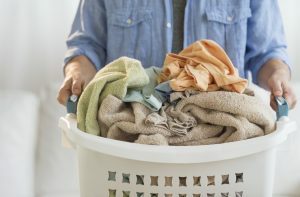 If you rely heavily on detergents, bleach, fabric softener and dryer sheets to get your laundry clean and fragrant, you may also have experienced dull, faded clothing, or “clean” clothes that feel sticky and have strange oil-like stains. In all probability, you’re dealing with one of the fun after-effects of conventional clothes washing: residue. In fact, back in 2010, the Wall Street Journal featured an article about Americans’ tendency to go way overboard in the soap department. The idea, of course, is that if a little soap gets clothes clean, a lot of soap will get them even cleaner…which is simply untrue. Not only untrue, but perhaps counterproductive: too much soap often leaves clothes in worse shape overall than when they started. The WSJ notes that the trend of extra-concentrated detergents, combined with high efficiency washers that use less water, have created the perfect storm for detergent excess and its resulting (messy) aftermath. For one thing, the extra chemicals and cleansers can wreak havoc on sensitive skin, sometimes leading to a condition called contact dermatitis. Imagine taking a shower in the morning and not rinsing after you lather up. It’s the same thing in theory with conventional laundry practices. Too much soap + not enough rinse = itch city. Secondly, clothes aren’t great about concealing the effects of detergent and chemical residue. You might see streaks or stains, or notice your towels are limp and flat. Or that there’s an odd wax-like coating on your favorite t-shirt. Not only that, detergent residue can build up inside your washing machine, creating a thick layer, parts of which can dislodge mid-cycle and land on clean clothes. That residue layer also serves as food for bacteria that could be lurking in your machine. Some appliance makers have jumped into action to help solve the detergent overdosing problem by offering extremely pricy options to their washers that store a 6-month supply of detergent that is precisely dosed out to avoid adding too much. Most people, however, would be less than thrilled to pay upwards of $500 for a feature that seems almost unnecessary if you just simply measure carefully. Of course, there’s also a machine that exists which makes detergents, bleaches, and fabric softeners a thing of the past. No more residue, no more waxy build-up on clothes or in your washing machine, and no more weird after-stains. In fact, you don’t even need hot water. Using its proprietary ActivePure Technology, Aerus created the Laundry Pro, a simple, easy-to-use, easy-to-install unit that connects to your washer and offers a freedom from using chemicals and hot water to clean your clothes. You get fresh, fluffy, bright laundry, and there’s no sticky build-up on your clothes or in your machine. In addition, you can save money on your monthly energy bill and spend less at the store on cleaning and bleaching agents. It’s a win-win! 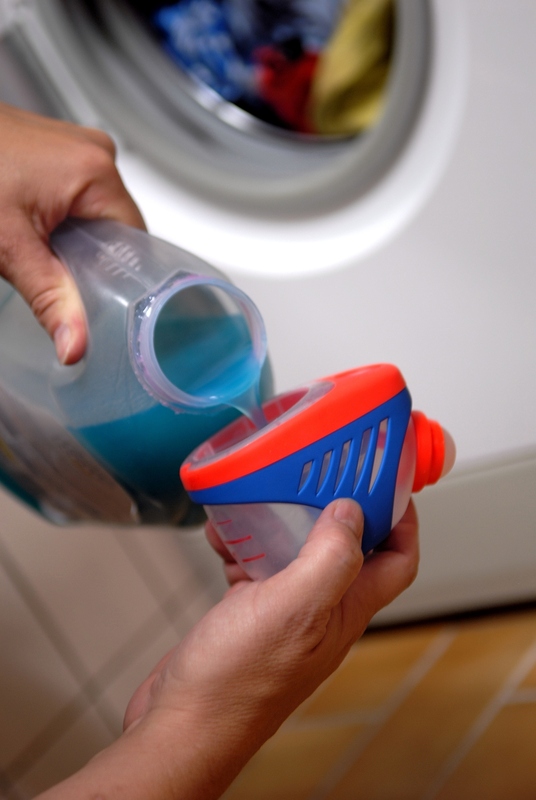 A Great article explaining the problems with detergents and conventional cleaning. Washing machines are a breeding ground for bacteria……..Laundry Pro is the answer, we love ours….no detergents no fabric softener or bounce sheets and fresh smelling laundry room……..Fluffy towels etc. Awesome tips. This article is helpful to me. But I want to know which detergent brand will work very well for washing clothes? With our Laundry Pro, you won’t need detergent! Just cold water.